Where can you find it and what are your options for training? Read on to learn more about approaches to integration solution and EDI software training to effectively transfer knowledge and concepts to your team. What Are the B2B Integration Training Location and Methods Options? Integration software training at the vendor's training facility using generic pre-developed exercises has given way to a more custom approach. 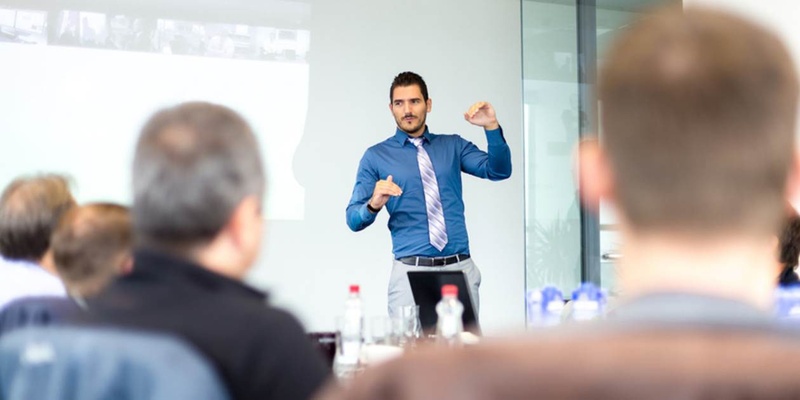 In our experience, the best outcome for clients is to deliver training on-premises at the workplace, or virtually, with integration tools deployed in the workplace and connected to client business systems. This way, client personnel are in a familiar integration environment with the tools, ERP, and support systems used daily. Unlike the generic pre-developed exercises of vendors, this option also utilizes integration requirements derived from client trading partner integration or EDI requirements. There are two workplace training options: on-the-job (OJT) and classroom/conference room learning. Explore each method and its advantages. Generally, a co-worker provides OJT, side by side, peer, or over the shoulder training as it is also referred to. At times the colleague in question does not have the skills to provide EDI training, or there is no colleague, and a third-party consultant is brought in to bridge the gap. The point of OJT for B2B integration is that you focus on the most important skills and knowledge for your particular integration software and project objectives. In pre-engagement sessions, trainers often assess student capabilities and in training omit concepts and components of integration solutions that the student already knows. Rather, he or she will develop a more custom approach concentrating on new integration skills and knowledge required in real life integration scenarios and partner requirements. One of the advantages of OJT is that usually, just one or two students participate, so more individual attention is provided and the trainer is able to get a stronger sense of how well they absorb the material. Another advantage referenced earlier is that the trainer will be using your licensed software in your environment and accessing your business systems. This makes the training relevant in all aspects, including the nuances of your integration infrastructure. Classroom-based EDI training is similar to the type of training offered by software vendors for their products. It is meant for larger groups of students, in contrast to OJT. In-class EDI training can be provided by a third-party consultant as a complement to vendor training or as an alternative to it. In most cases, classroom B2B integration training follows a set curriculum. The trainer lectures and offers pre-developed exercises to bolster the lesson. That being said, the trainer can customize the lecture content to fit the needs of your organization to ensure that employees are learning what they need to learn. Additionally, the trainer can develop workflow and data transformation exercises based on real client integration requests that help students understand what happens during the B2B integration process. As with OJT, students use company resources (such as computers, integration software, and other devices and applications) to develop and witness real-world integrations get deployed in the confines of their own environment. The name “classroom” EDI training can be misleading; a classroom could sometimes be as formal as a corporate training room or as informal as a departmental conference room, which is more often the case. Undertaking a B2B integration initiative on your own does not mean you have to do everything yourself. If it turns out that your staff needs more education, from EDI compliance and EDI coordination to the inner workings of B2B integration gateway tools for EDI, MFT, and EAI, training provided by a consultant is more than just a good idea; it will ensure that the project is successful and your organization is self-sufficient for future DIY integration initiatives. To learn more about integration and EDI training, contact us.